VANCOUVER / MUSQUEAM, SQUAMISH & TSLEIL-WAUTUTH TERRITORIES — Fourteen leading companies and organizations working in B.C.’s building sector say the province’s new climate and clean growth plan lays down a solid foundation for the decarbonization of our homes and buildings. 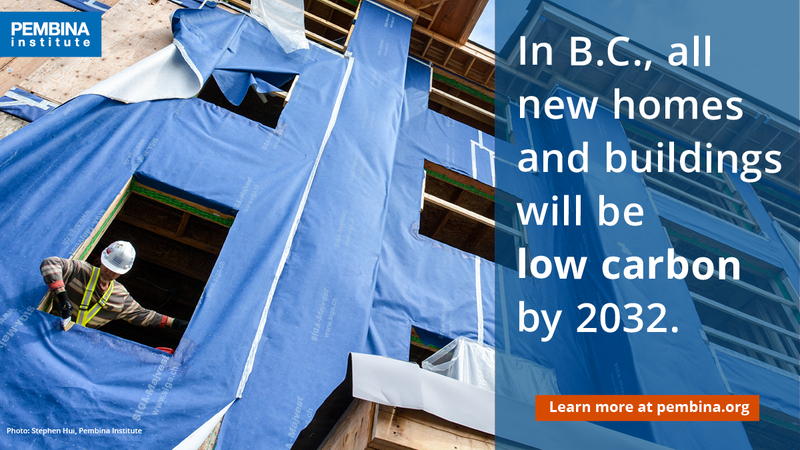 The CleanBC strategy, released last week, outlines an ambitious suite of measures projected to cut carbon pollution from the built environment by 40 per cent by 2030. Notably, through the BC Energy Step Code, the Province is the first in Canada to define a clear path for all new buildings to be net-zero energy ready (ultra energy efficient) by 2032. The Province is investing in training for our trades workers and professionals, and in new incentives to upgrade our homes and businesses to make them less polluting. The plan also creates an energy rating requirement to ensure that everyone investing in real estate, whether buying a home or leasing an office, has information on building energy performance whilst weighing their options. Transparency will be a key driver of innovation for the sector. Today, we’re calling for more clarity in Phase 2 of the climate plan, expected next year, on the roadmap for buildings beyond 2030 and all the way to 2050 — particularly concerning electrification, fuel choices, and the role of utilities in this transformation. 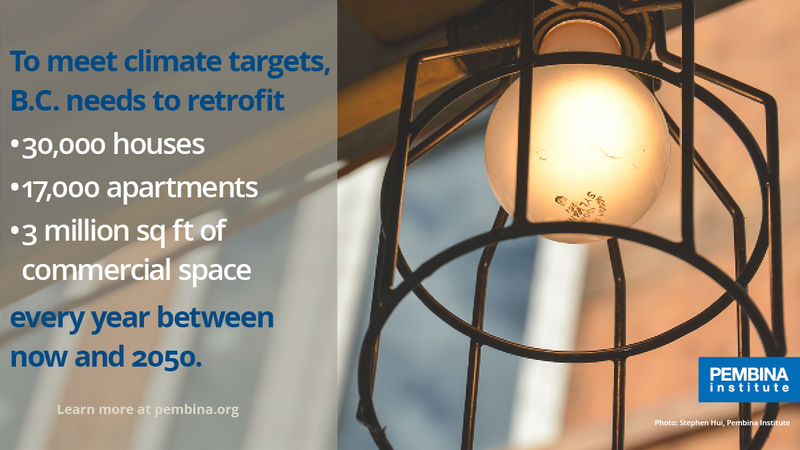 To establish a steady retrofit economy, we also need new financing tools and a sustainable source of public funding, such as green bonds, to avoid the boom and bust of incentive programs. We look forward to working with the Province on this next iteration of the plan. By pursuing these opportunities, we can reduce our carbon pollution while saving money, creating local jobs, and opening export markets for B.C.-made components and designs. We can also ensure all British Columbians live and work in buildings that promote better health, well-being, and productivity. “The measures outlined in the CleanBC strategy demonstrate a clear path forward to addressing the serious issue of climate change. This is a big undertaking, but it is doable; we are working on building projects that already meet the 2032 energy performance goals today. It is encouraging to see leadership at the provincial level. Let’s get on with it with the urgency this issue deserves! The Pembina Institute estimates B.C. must reduce carbon pollution from homes and buildings by 80–100% in order to meet the province’s legislated climate target for 2050. Accordingly, B.C. needs to retrofit 30,000 houses, 17,000 apartment units, and three million square feet of commercial space each year between now and 2050. This megaproject could create 10,000 sustainable jobs across the province and generate $4–8 billion in economic growth. Buildings and communities are responsible for 22 per cent of B.C.’s carbon pollution.